When it comes to shooting at extreme distances, so many variables come into play and each one of them critically important. 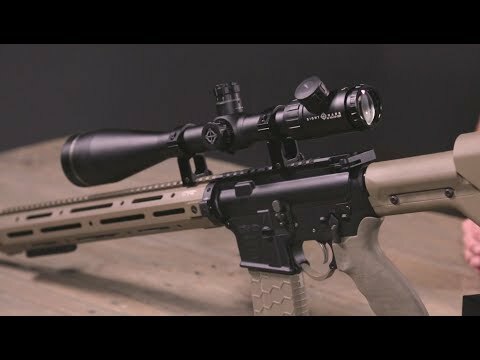 Beginning with target acquisition, the Sightmark Core SX 10-40x56 CBR Riflescope is a long-range problem solver. Designed specifically for competition shooting and hunting, this high-powered second-focal-plane optic boasts a rugged, single-piece, hard-anodized 30mm 6061-T6 aircraft-grade aluminum tube; nitrogen-filled, IP67 waterproof and dustproof protection; fully multi-coated lenses; finely etched, red/green illuminated competition benchrest reticle with 10 brightness settings; 1/8 MOA windage and elevation adjustability with exposed, pop-up locking turrets and 40 MOA of travel. While a single CR2032 battery provides up to 100 hrs. of battery life, the Sightmark lifetime warranty delivers big on peace of mind. While truer words than “If you can’t see it, you can’t hit it” are seldom spoken, nobody setting up behind Sightmark’s 40x magnification has that problem.